Because you need a hair product that’s as flexible as you are. Mention hairspray to anyone, and it’ll no doubt divide the room. Some of us have never stopped loving them since the ’80s (‘the higher the hair’, right? ), while the rest of us would rather not spend a Saturday night rewashing our manes to get rid of that sticky, crunchy feeling it leaves us with. 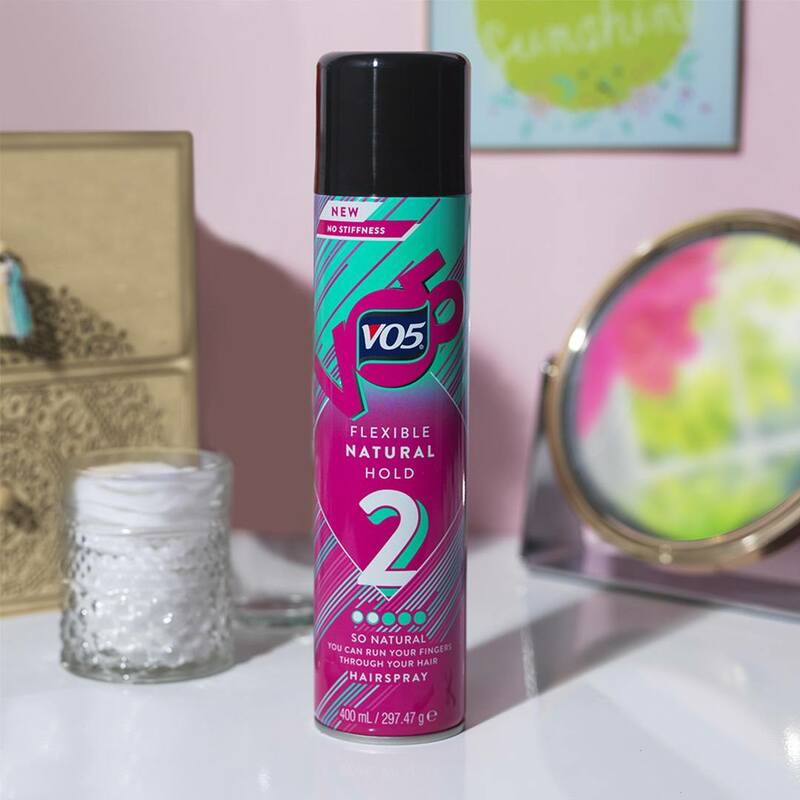 Well, there’s something you should know: the new VO5 Flexible Hold Hairspray has an amazing innovative formula that is seriously making us fall in love with hairsprays again. This hairspray is taking hair styling into a new era. Unlike the heavy, rigid hairsprays of the past, this Flexible Hold Hairspray is workable, and made for anyone who wants amazing styling results and doesn’t want to feel like they have product in their hair. Hairspray has upheld its cult status because of the cool styling benefits that come with using it. Really, what other product can offer volume, hold and control frizz/flyaways, all in one? If you want to put this iconic product to good use, you’ll need to let go of what you think you know about hairsprays and give the VO5 Flexible Hold Hairspray a chance. The reason why older hairspray formulas leave you with ‘helmet hair’ is because of the strong glue within the hairspray resin, which sticks the hair fibres together and causes stiffness. However, VO5’s clever innovative formula uses a unique rubbery, elastic resin that allows your tresses to move freely, leaving you with a long-lasting finish so natural you can run your fingers through it. Could this hairspray be the one for you? Wondering what makes this Flexible Hold Hairspray non-sticky? The higher pressure of gas used to propel the product from the can. The higher pressure creates a much finer spray, as smaller particles of the product are being pushed out. These tiny inter-fibre bonds dry quickly, meaning they don’t sit in your hair or stick to it — so you don’t have to worry about any stiffness! 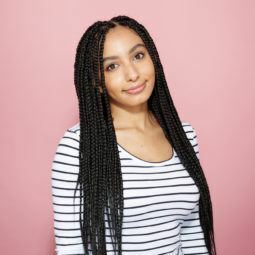 If you’re a fan of natural-looking hairstyles, this non-sticky flexible hold is exactly what you need to take your everyday look to the next level. From beachy waves to tousled updos, with this Flexible Hold Hairspray in your mane life, you’ll be able to create effortless looks. Who doesn’t love coconuts? Another great thing about this new hairspray is that it has an exotic coconut fragrance, which will help leave your strands smelling great. Editor’s tip: Before using this innovative product, shake it! Then, hold it 30cm away from the hair and spray towards the roots to give your hair body. Finally, mist it evenly over your hair to give your look a touchable, all-day natural hold. To tame flyaways, spray some of the VO5 Flexible Hold Hairspray onto a brush and use it to smooth down any wispy strands.